Seasoned industry professionals will remember a time not too long ago when the dynamic between the sponsor and CRO was purely that of a client/vendor. CROs were engaged to reduce the fixed labor costs on the sponsor side for work that varied in demand. At the time, the focus was controlling capacity fluctuations that impacted overall profitability. The work assigned to contractors was commoditized and not directly involved with the generation of intellectual property, and the majority of contracts went to businesses in the United States and EU. Ultimately, the opportunity for savings didn’t pan out as desired because hiring out mass production of unspecialized products didn’t provide any advantage when the subcontractors’ expenses were comparable to internal rates. 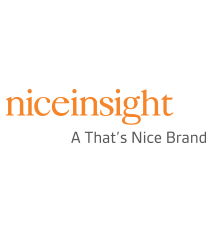 The results from Nice Insight’s Pharmaceutical and Biotechnology Outsourcing survey indicate that for the year ahead 50% of survey respondents specified the company they work for will engage outsourcing services for discovery phase work. The true opportunity for savings through outsourcing started to take shape in the early part of the 21st century. Developing countries with strong education systems relaxed their trade borders to Western businesses around the same time that China and India started to strengthen their patent laws. While some pharma companies opted to open their own research facilities overseas, others sought CROs in these emerging markets. Within a few years, the amount of work and the complexity of the projects increased. The tipping point in the shift of the dynamic between sponsor and CRO from a client/vendor relationship to a partnership occurred when some CROs started to expand their service offering to include discovery programs. Big Pharma was the first sponsor segment to risk outsourcing discovery phase work — a leap of faith where a level of uncertainty still persists — with the hopes of ensuring a strong drug pipeline alongside considerable savings over maintaining an internal research staff. This practice only continues to increase in popularity.The results from Nice Insight’s Pharmaceutical and Biotechnology Outsourcing survey indicate that for the year ahead 50% of survey respondents specified the company they work for will engage outsourcing services for discovery phase work. As a matter of fact, after preclinical (53%), discovery is the second most popular phase during which sponsors engage outsourcing services. The likelihood of engaging outsourcing services decreases somewhat through the subsequent phases, from 48% during Phase 1, 39% for Phase 2, 33% for Phase 3, and 31% for Phase 4/postlaunch studies. Among the different sponsor segments, there was some variation in the frequency of outsourcing services for discovery phase work. Interestingly, emerging pharma companies are the most likely to outsource discovery, with 58% of respondents indicating their company would engage services for this stage. Biotech and Big Pharma followed, with 53% and 52%. Just under half of emerging biotech companies (46%) outsource discovery; however, only 1/3 of specialty pharma companies engage outsourcing services during this phase of the drug cycle. Of all discovery-phase outsourcing, 2/3 is sourced by pharmaceutical companies: 30% by Big Pharma, 25% by emerging/niche/start-up pharma companies, and 11% by specialty pharma. Biotech companies source 1/4 of discovery-phase projects, and emerging bio comprises 6% of that total. Of respondents whose companies outsource discovery phase projects, 60% also engage outsourcing services during the preclinical phase. Just under half (46%) will also outsource Phase 1, approximately 1/3 (36%) will also outsource Phase 2, and 30% will outsource Phase 3 services, in addition to discovery. One quarter of companies that engage outsourcing services during the discovery phase also engage outsourcing partners for Phase 4/postlaunch studies. It may be too soon to tell how successful engaging CROs at the discovery phase will be when it comes to bringing better, less expensive drugs to market. However, the process of lead optimization has drastically improved and NME (new molecular entities) approvals are on the rise again. Perhaps most importantly, the change in how sponsors and contract research organizations work together — sharing in risk and reward and establishing transparent strategies based on mutual trust — will continue to positively impact the future of drug development.